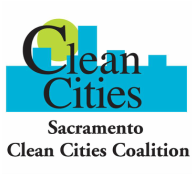 The Sacramento Clean Cities Coalition held the Northern California Clean Technology Forum on October 14 & 15 at the California Automobile Museum in Sacramento, CA. This year's event showcased fuel and vehicle technologies in the next 2 years and the next 2 decades. A tour of the Sacramento CNG Station and Natural Gas Compliant Shop took place on the afternoon of the 14th and a Stakeholder Appreciation and Toyota Mirai Launch Reception was held that evening. Panel discussions and networking took place on the 15th at the Museum. Thank you to all of our attendees, speakers, exhibitors, sponsors, and partners for making the Northern California Clean Technology Forum a huge success!